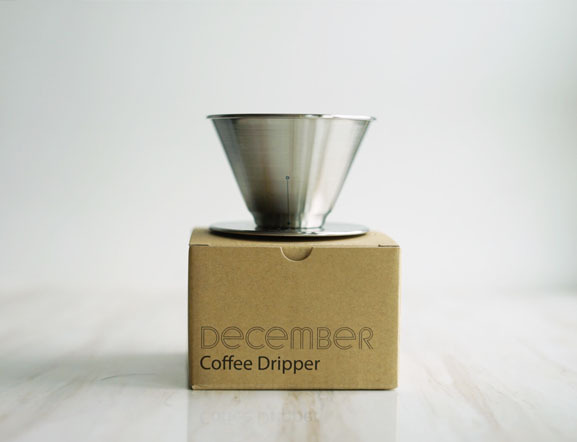 The DECEMBER Coffee Dripper is an adjustable pour over coffee dripper with four levels of flow adjustment. This allows you to grind the coffee at the optimal coarseness for the best flavour that your coffee has to offer. The dripper is compatible with Kalita Wave 185 filters. 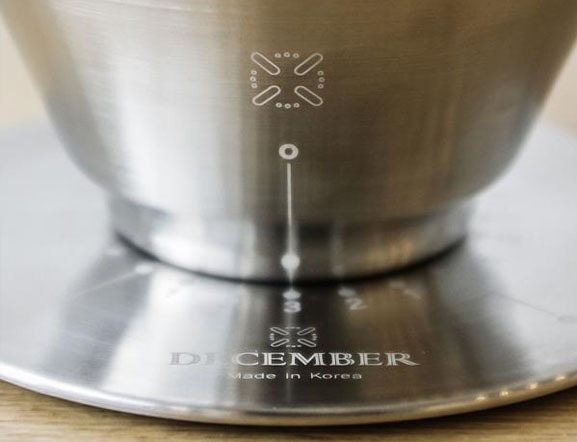 Designed by Nick Cho and Youngmin Lee, the December Dripper offers a very unique, but simple addition to classic pour-over brewing: control over the flow rate as the brew bed drains. With a simple turn of the dripper's base, you can select from three different flow rates, or shut off the flow almost entirely. It may not sound like much, but that extra level of control can add a good deal of versatility to a dripper. 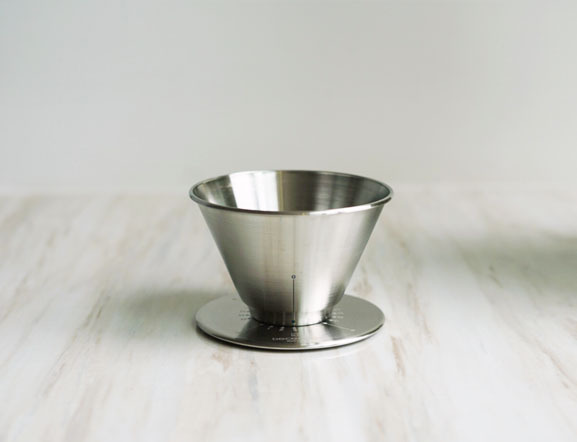 While some pour-over devices might be more restrictive in their batch sizes, the December Dripper can adapt to a much wider range of brewing conditions. You can just as easily brew a single small cup of coffee - using a lower flow setting - as you can brew a full liter-sized batch - with the flow set to max. 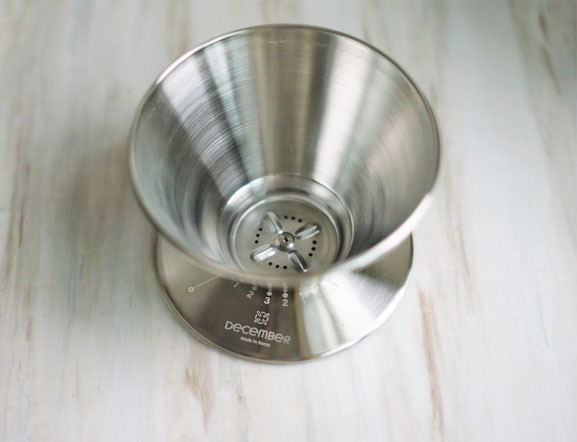 You can even adjust flow rate mid-brew, so you can limit the flow for your bloom and first pour to allow for more contact and thorough extraction, then open it up for faster flow for the latter half of the brew to allow better washing of the grinds and give yourself more control over total brew time. The possibilities here are myriad, and that's really exciting for such a simple brewing device. Use Stage 0 to extend the brew time by stopping the flow and resuming as desired, or to reduce dripping when your brew is complete.